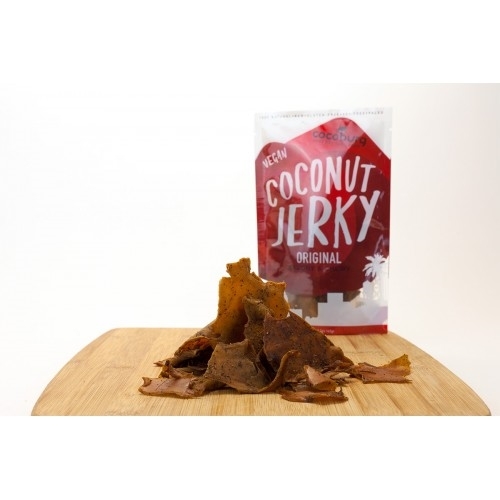 Raw coconut jerky with savory black pepper seasoning and a touch of natural coconut sweetness. I decided to try this out as I figured that maybe eating too much soy (form the soy-based jerky that I usually eat) might not be the best thing for me, but, unfortunately, this coconut-based jerky didn't work out. I found it an odd flavor combination: spice with coconut. I usually associate coconut with a sweet flavor, so it tasted odd.